Did you know? 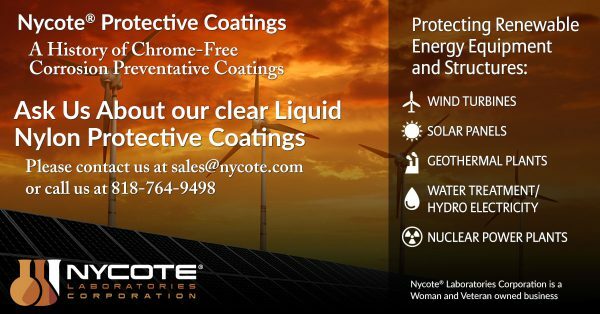 Nycote Protective Coatings are the right choice for the renewable energy industry. Our uniquely designed, and optimized highly cross-linked copolymer coatings protect metals, composites and textiles from corrosion and conductivity. For further information or to ask questions, please call us at 818.764.9498 or email Sales@Nycote.com.